Slate’s most popular stories of 2017. The best part: It’s not too late to read them. 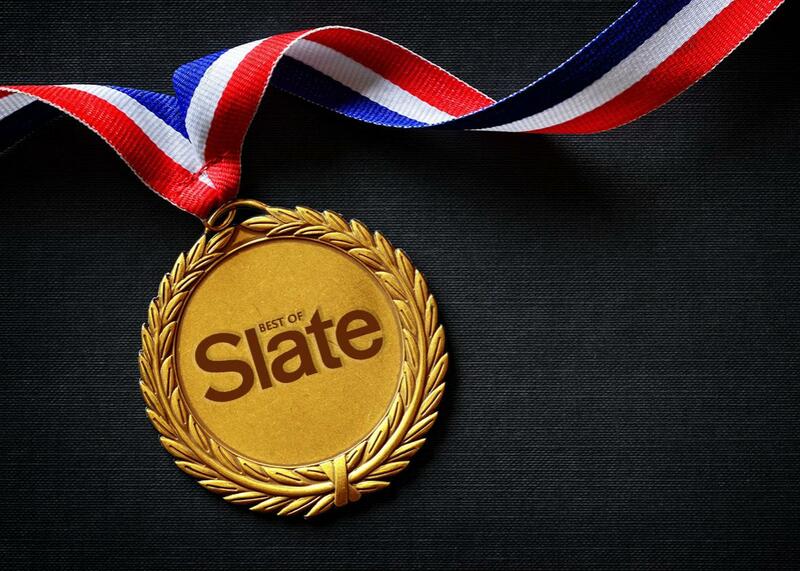 Slate has published more than 11,000 articles in 2017. Determining the 10 most popular wasn’t easy. When we do this roundup every year, we inevitably debate the same question: What’s the best way to determine popularity? We measure our traffic in many ways. We look at how many visitors and page views each story gets and how readers are finding our stories (Facebook or Google? Twitter or our home page?). But the main metric we look at these days is engaged time. Just clicking to a story doesn’t mean quite as much as it used to. We’re more concerned with what stories keep your attention. In that spirit, we decided to base our most popular list this year on average engaged time, which is simply how long readers (on average) stayed active on the article. These stories mostly weren’t viral hits on Facebook. But they were stories that hundreds of thousands of people clicked on and couldn’t stop reading. We never could get too far away from the news cycle this year, and this list reflects it. Some of our most popular stories were about sexual harassment, immigration, and the Women’s March. But readers also were drawn to stories about ESP, airline jobs, and a murder in Alabama. We hope you’ll take this as a chance to catch up on some of the best writing you may have missed during a busy year. Which means science is broken. 3. Who Gets to Live in Fremont, Nebraska? Thousands descended on the capital the day after President Trump’s inauguration, and they came armed with clever signs. 6. James Bailey Is a Liar. Is He a Murderer? An interview with Vanessa Grigoriadis on her new book. Working in aviation has lost its glamor. It happened because the law gave carriers every advantage over their workforces—and because we demanded lower airfare. Asians shouldn’t have to hide their heritage when applying to college. I did—and I’ll always regret it. Inside the fractious campaign to canonize the 9/11 icon. A highly intensive, very scientific project.